My mother as a teenage girl frequented the lending library that my father with other young 'free-thinkers' had set up. I was a bookish boy. And I got beat up a lot by more athletic boys! I got interested in science quite early. I wanted to be a paleontologist, then I wanted to be a physicist, and finally I fell in love with mathematics. ... at City College, there were two people who had a big influence on me. One was Emil L Post, who was a great logician and a very direct influence on the direction of my work, and Bennington Gill, who was really a very inspiring teacher, even though his mathematical productivity pretty much ended with his dissertation. 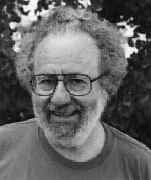 Davis took a course on symbolic mathematical logic in his first year and a reading course on real variable theory with Emil Post in his second year. In his third year he began taking a reading course with Post on mathematical logic but this stopped when Post had a breakdown. Certainly by the time Davis graduated from the City College with a B.S. in 1948 he knew he wanted to undertake research in mathematical logic. He had already written a report as part of an advanced logic course he had taken in his final year and this was later incorporated into his Ph.D. thesis. After graduating, he entered Princeton to undertake research with Alonso Church as his advisor. Devise a process according to which it can be determined by a finite number of operations whether a given polynomial equation with integer coefficients in any number of unknowns is solvable in rational integers. Does there exist an algorithm to determine whether a Diophantine equation has a solution in natural numbers? The differences in these two statements are significant. Hilbert believed that an algorithm (i.e. a process determined by a finite number of operations) existed and the problem was to find it. However, certainly Post believed that the problem "begs for an unsolvability proof" and had used these words in his discussions with Davis. Let us now return to discussing Davis's career after the award of his doctorate. It was at Urbana-Champaign that Davis met Virginia Whiteford Palmer whom he married on 21 September 1951. Virginia had an A.B. from Smith College, awarded in 1950, and studied Library Science at the University of Illinois. Virginia, who became a textile artist, and Martin Davis had two children, Harold and Nathan. Davis was two years at Urbana-Champaign then spent the two years 1952-54 at the Institute for Advanced Study at Princeton. In 1954 he was appointed as an Assistant Professor of Mathematics at the University of California at Davis where he spent a year before accepting a similar position at Ohio State University. Again after a year, he moved to the Hartford Graduate Division of the Rensselaer Polytechnic Institute in Troy, New York in 1956. His first position at Rensselaer was as Assistant Professor of Mathematics but he was soon promoted to Associate Professor and remained there until 1959. He then spent the year 1959-60 as a Research Scientist and Associate Professor of Mathematics at New York University, following which he spent the years 1960-65 at Yeshiva University, a Jewish university in New York. Diophantine sets are precisely those that can be generated by recursive functions or, what is the same thing, by a Turing machine. The 1958 paper with Hilary Putnam was the result of their families sharing a house while at a five-week logic conference at Cornell in the summer of 1957. They then met up during the summers of the following three years, doing their most significant work on Hilbert's Tenth Problem in 1959. It would not be Davis who would eventually solve the Tenth Problem, rather it was solved in 1970 by Yuri Matiyasevich following further progress by Julia Robinson. ... for his paper "Hilbert's tenth problem is unsolvable" (1973). It was this paper which also gained him the Chauvenet Prize of the Mathematical Association of America in January 1975. In the same month he was awarded the Lester R Ford Prize from the Mathematical Association of America. He was the Mathematical Association of America's Earle Raymond Hedrick Lecturer in 1976. In 1982 he was elected to the American Academy of Arts and Sciences and was awarded a Guggenheim Foundation Fellowship in 1983-84. In 2001 he was awarded a Townsend Harris Medal by the Alumni Association of the City College of New York. The author succeeds admirably in presenting a readable, motivated, yet not verbose, exposition of the theory of recursive functions. This text in recursive function theory is written for a wide audience. The first half could be used for advanced undergraduates, and the book as a whole provides a compact yet comprehensive introduction to the subject suitable for a graduate course. In addition it may be of interest to non-mathematicians such as philosophers and engineers. Aside from the ability to follow detailed proofs, very little mathematical background is required of the reader. The inclusion of intuitive explanations at crucial points makes it possible to skip many of the proofs if desired, or can serve to help the uninitiated student to develop the ability to follow rigorous proofs. On the other hand, recent developments are presented in a form for the more mature readers. One very desirable feature is the inclusion of convincing arguments that the fundamental definitions are natural rather than arbitrary. Although it is good to have this book, it is not precisely an "introduction" in the sense that students are led into the field "from scratch." Nonstandard analysis is a technique rather than a subject. ... is a completely self-contained exposition of the proof that there is no algorithm for determining whether an arbitrary Diophantine polynomial equation with integer coefficients has an integer solution. It is a masterfully written article and, given to an undergraduate, is sure to awaken interest in computability theory. I know, I read it as an undergraduate and have been in love with recursion theory every since. It is our purpose in writing this book to provide an introduction to the various aspects of theoretical computer science that is sufficiently comprehensive that the professional literature of treatises and research papers will become accessible to our readers. It is our hope, however, that this book will help readers to see theoretical computer science not as a fragmented list of discrete topics, but rather as a unified subject drawing on powerful mathematical methods and on intuitions derived from experience to give valuable insights into a vital new area of human knowledge. ... the reviewer believes that this book fills a real need because of its comprehensiveness and its completeness, and predicts that it will be widely used as a text and reference for some time to come. This is an important book: it describes, for a wide audience, the logical underpinnings of computers and thus supplements in an illuminating way the remarkable story of the technological advances that make modern computers possible. This book surveys developments in mathematics and logic that led the way to the design and construction of modern digital computers. ... its focus is on conceptual rather than technological advances. Davis retired from his chair in New York University in 1996 and moved to Berkeley, in California.